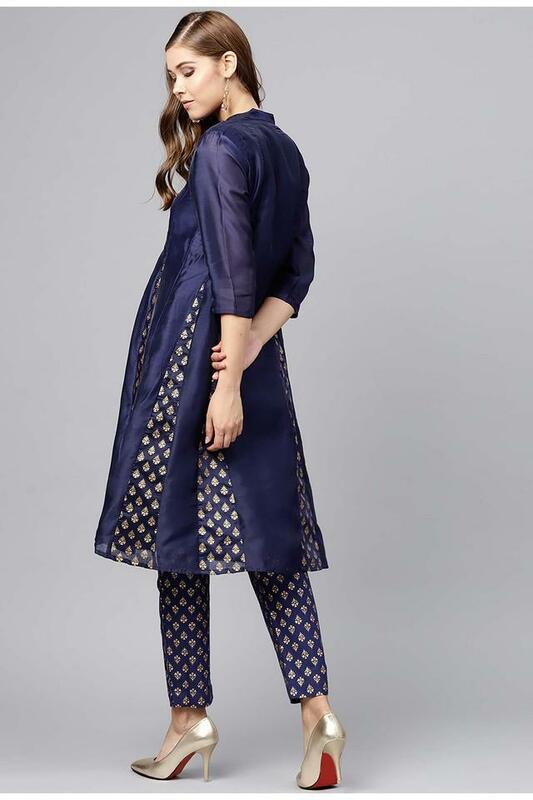 Score high on the fashion metre by wearing this kurta and pants set from the house of Juniper. It has been made of a premium quality chanderi fabric, which will keep you at ease throughout the day. Moreover, it features a print pattern along with a fine colour combination that makes it all the more appealing. Tailored to perfection, this kurta and pants set will be an ideal pick for you to wear to a party. You can club it with a pair of heels or wedges to complete your look.